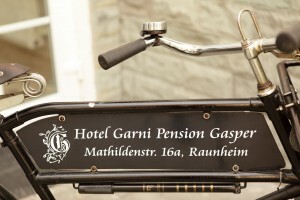 Due to the central location of the city of Raunheim in the congested urban area, around Frankfurt am Main/Rhine-Main region, our hotel “Business Hotel Garni – Pension Gasper” provides perfect conditions for accommodation of fitters and craftsmen. The most important major projects such as the expansion of Frankfurt Airport, Höchst Industrial Park, Opel Rüsselsheim and many other industries and companies can be reached by car in a short time. Motorway – 100m, Urban train – 150m, Bus – 50m, Airport-Shuttle – 100m. 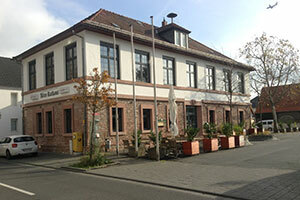 Ensure your physical well-being the restaurant “Altes Rathaus” distant 2 minute from Hotel. The variety of restaurants and large well-known supermarkets in the area satisfy every need. Learn more about our hotel, the various rooms and our service here on our website. Have a pleasant stay and enjoy a green oasis in the middle of the Rhine-Main region. 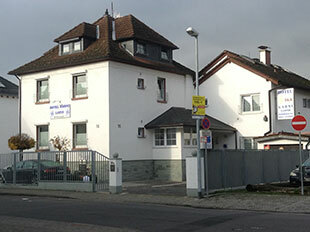 Business, Hospitality and central location are combined with a village atmosphere in the heart of the Rhine-Main region. Experience a pleasant, relaxing and comfortable stay with Business Standard. The central location of our house – close to Frankfurt Airport, Frankfurt Trade Fair, Wiesbaden, Mainz, Darmstadt, OPEL-city of Rüsselsheim as well as excellent transport connections ensure short distances.